Do you know how to choose a builder before you start the design process? Hi I’m Chris Eades, Director and Builder of Capri Building Group. What can you do to choose the right builder even before you start the design process? You can start your initial research online. Start by checking out builders’ websites and facebook pages, looking at their reviews, client testimonials along with the information they are providing and the organisations they belong to create a short list of no more than 3 custom home builders who are experts in building the type of home that YOU are looking to build. Make contact with the builders via the website contact us form and by calling the office number, if it is outside business hours just leave a message with your details. For each of these enquiries, leave a different name for each enquiry you make, that way you can check that the builder will respond in a timely manner. Builders who have poor communication skills with their prospective clients will tend to also have poor communication with their suppliers, subcontractors and their clients throughout the build process which tends to lead to delays on site. By now you are looking for reasons to disqualify a builder from your shortlist if they don’t get back to you in a reasonable time frame either by email or by phone. From your list of duilders that do respond, invest 15-20 minutes into an initial phone conversation. Expect a professional builder to be asking you a lot more questions than you ask them at this stage, so they can get a better understanding of your desired end result. Then if you feel comfortable the next stage will be to progress to an onsite meeting. Talk to Capri Building Group so that you can complete your custom luxury home within your budget. 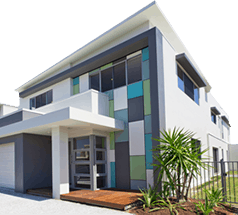 When looking for your luxury home builder Gold Coast is home to our leading team of construction experts specialising in custom built luxury homes. As industry leaders on the Gold Coast we give you a 100% fixed price contract to build your home and give you 24/7 access to see how your project is progressing, allowing you peace of mind and total control of your budget. Download our ‘Brand NEW’ FREE Guide with all of the ‘must know’ information about designing your new home and make sure it gets built. 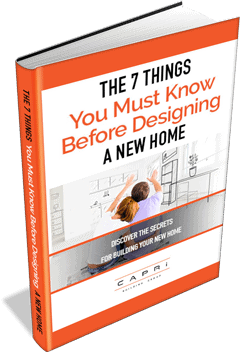 We have put together our ‘Brand NEW’ FREE Guide with 7 things you must know before designing a new home to make sure it gets built. 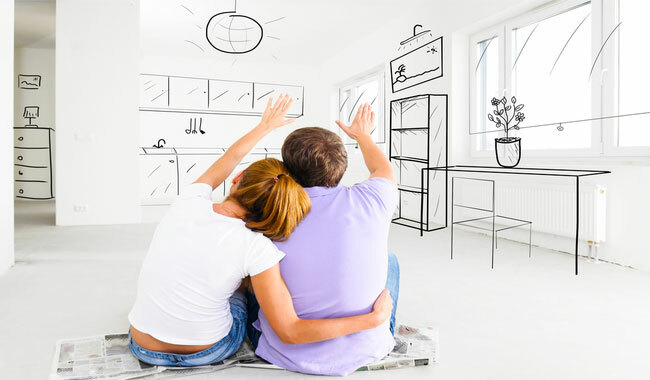 Before talking to a designer or an architect, you need to discuss your new home with a professional Builder! Next Next post: Before talking to a designer or an architect, you need to discuss your new home with a professional Builder!